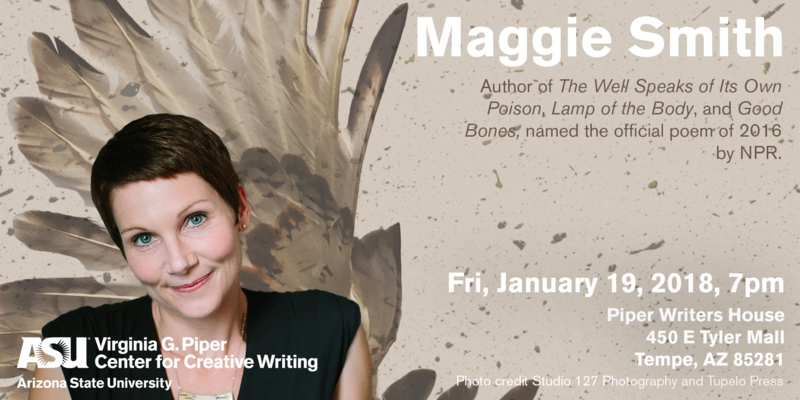 Join the Virginia G. Piper Center for Creative Writing for an evening with poet Maggie Smith on Friday, January 19th, 2017 at the Piper Writers House (450 E Tyler Mall, Tempe, AZ 85281) at 7 pm. Smith will be reading from her latest collection Good Bones, whose title piece was named the Official Poem of 2016 by Public Radio International. An informal q&a and book signing will follow the reading. This event is open to the public and free.